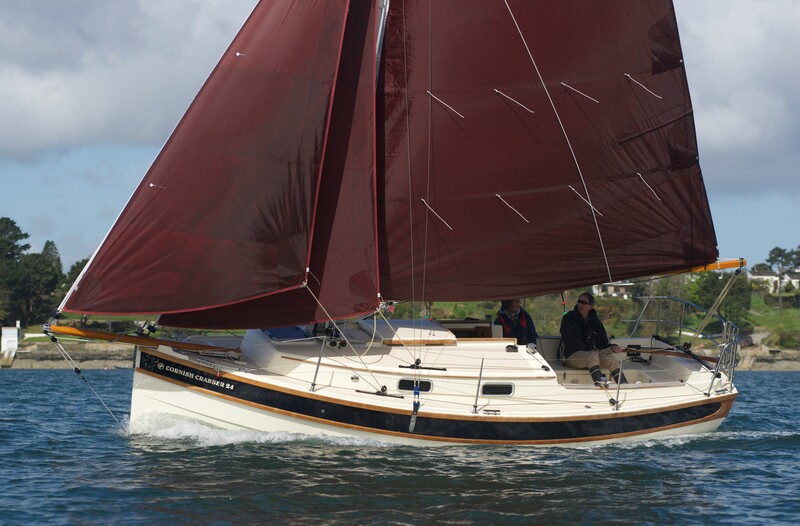 A spacious cockpit and relatively low coach roof line makes the Crabber 24 is a real looker! Real seating whilst sailing for six people is a rarity and the Crabber 24 achieves it with style and function. A careful mix of finishes including hardwood trims gives her the feel of a top end cruising yacht. 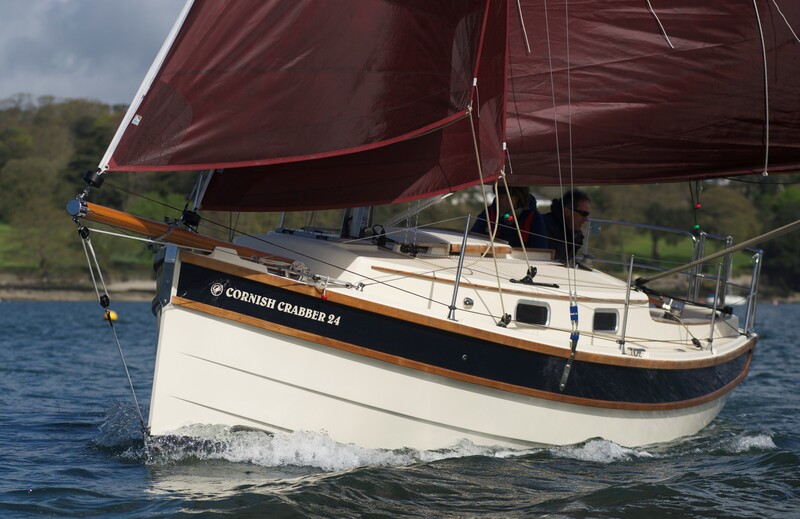 In the early 90’s the Crabber 24 Mk 3 changed tack dramatically with a move to a deeper fixed draft and long keel characteristics. Whilst the various versions of this type were lovely yachts in their own rights we feel that the original lift keel / shallow draft Crabber ethos has been lost at this size in the range. 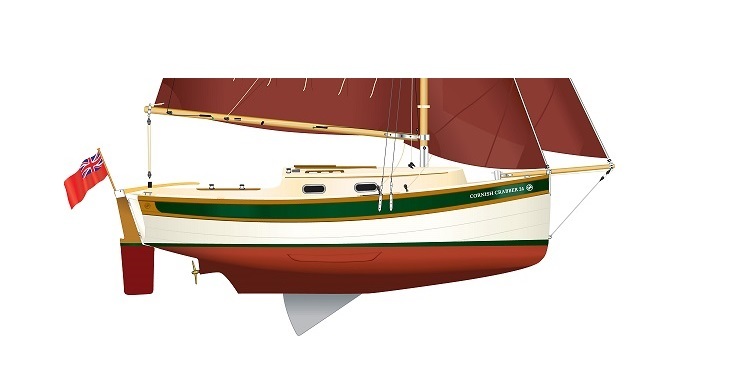 This new boat will bring the Crabber 24 up to date whilst retaining the traditional charm of the original. Hand laid GRP hull, deck and interior mouldings. The hull and deck joint is by way of a ‘biscuit tin’ joint with GRP bonding . Twin external hard wood rubbing bands. GRP rudder with stainless steel hangings and tiller hood. Wooden tiller. Ballast is encapsulated iron around a galvanised lifting centre plate controlled from the cockpit. Yanmar 2YM15 inboard diesel engine with 43ltr tank and associated engineering and stern gear. Dedicated engine starting battery and house battery with isolation switch, electric switch panel. Hot water calorifier feeding galley and heads with shower outlet. Manual and electric automatic bilge pumps & fire extinguisher. Painted interior finish and hard wood trim. Internal cushions with optional colours. Galley complete with double burner and grill, electric water pump and stainless steel sink . Stainless steel deck fittings with tabernacle and pivoting bowsprit. Opening ports into cabin space. Sliding GRP hatch garage with perspex wash boards. Top quality deck gear with adjustable sail trimming cars and tracks and associated jammers. Stainless steel pushpit and stanchions with folding boarding ladder. 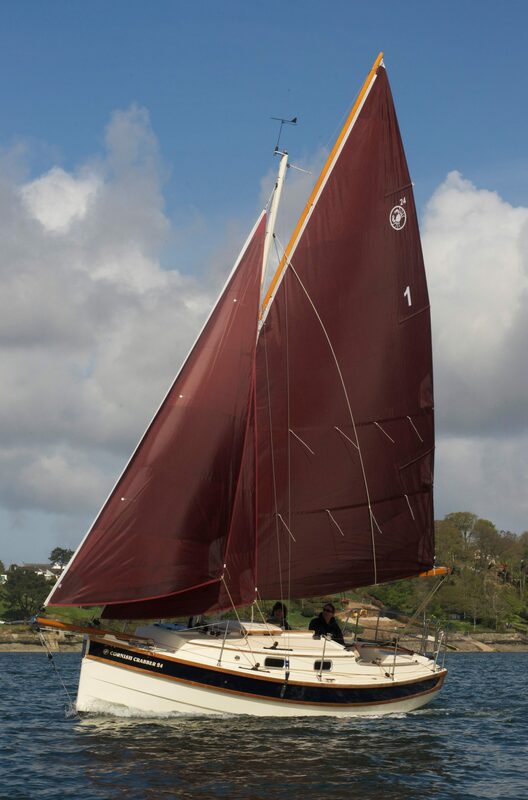 The main mast is in carbon fibre and spars are from Sitka Spruce, treated with Sikkens as standard. The standing rigging is in 1 x 19 stainless wire and all bespoke mast fittings are in 316 stainless steel. 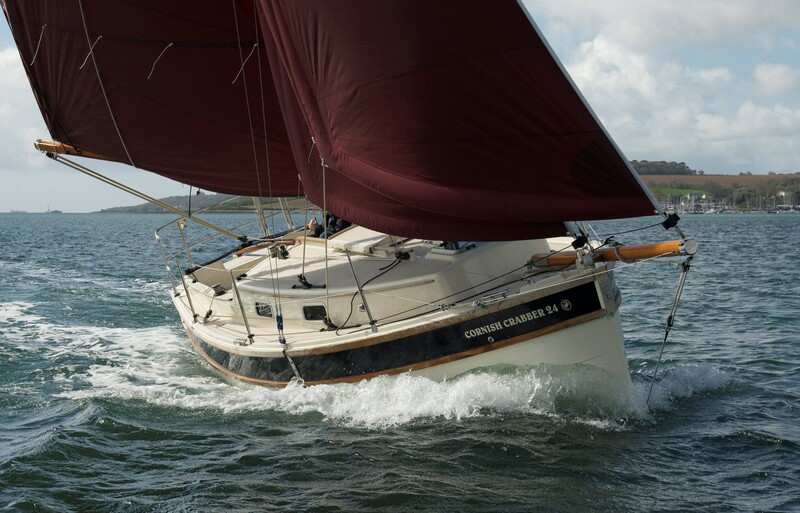 Sails are available in dark tan or cream and include mainsail, jib & staysail with both headsails on rolling wire luffs.